In late 2017, Upsteem launched a project to update the internship evaluation system and software used at Luua Forestry School. Luua Forestry School shows well that 360-degree feedback is not just a corporate talent management tool. In actuality, 360-degree feedback works well for shaping top management as well as for our own Estonian youth. Luua Forestry School hopes to use the internship evaluation system created to incite love for work and motivate young people to work smarter, as attitudes towards work do need to be shaped as early as possible. We had a chat with the representative of Luua Forestry School, teacher Lauri Toim, about why the internship evaluation system together with supporting software is a good choice. What’s the purpose of internship evaluation for you and what incited you to modernize the system? 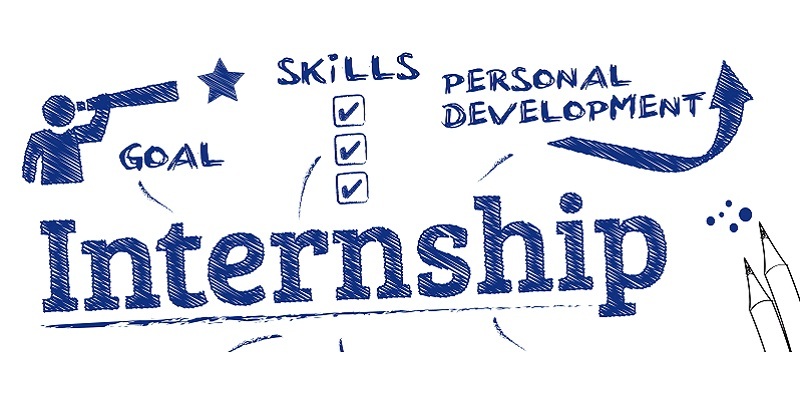 Internship evaluation is a way to give the student the chance to analyze their experience and discuss with the teachers what could be done better, what mistakes to learn from and the strengths to stress when entering the job market. We have been using the internship evaluation system for 6 years and in that time, have built up full faith in it. Our cooperation period with the previous software partner ended and the time was right to also update the system itself. Our search for a new partner brought us to Upsteem OÜ. What kind of internship evaluation do you specifically use? Our evaluation tool is 360–degree feedback. This method provides a three-way view: the intern, their supervisor and colleagues, allowing the student to compare their own self-evaluation with the evaluation of the working world. The school also receives feedback on the quality of teaching this way. 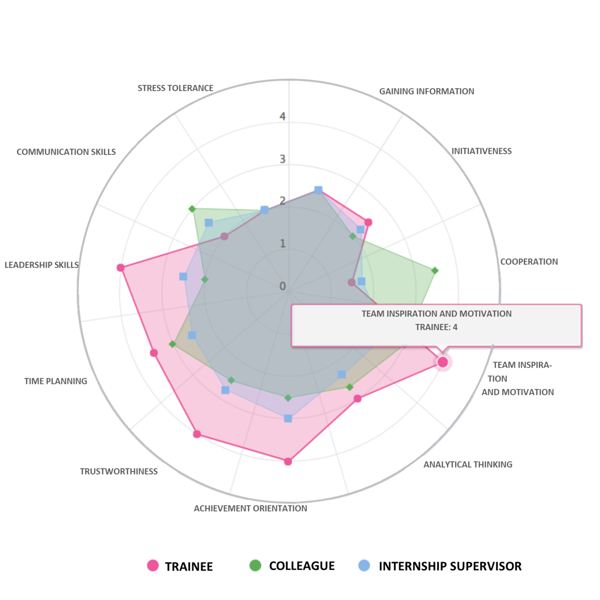 Could you tell us more about what gets measured during internship evaluation? The developed competence model and software help us determine more easily which level of the qualifications framework the student’s behavior actually meets. A large part of the questionnaire focuses on the student’s attitudes and perceptions. Software helps highlight and visualize strengths and weaknesses so that we can easily and comfortably show them to the student. The schedule provided in the performance report helps quickly determine contradictions between the perceptions of the intern and the company supervisor and those gaps can thus easily be focused on during the discussion of internship. A positive thing is that for a student who is seriously invested in their development and future on the job market, the report is excellent material for self-analysis – what my best weapons on the job market are and where I still need to work with myself. How did the students/interns and representatives of the target company accept the new internship evaluation system and software? The students love the fact that the software is flexible to use, you can respond at your leisure, pause the entry process, the software automatically saves the answers after each question and allows you to come back to the questionnaire if you had to stop work in the meantime for any reason. The students are very happy. Internship supervisors have also given us positive feedback. The new evaluation scale has probably caused the most questions – the former five-point scale is now a four-point scale, which prevents assessing everything as “average”. This forces people to actually think about the internship and rules out “comfort grading”. How did your cooperation with the team of Upsteem.com go? The best term to use to describe our cooperation is agility. Compared to what we had in the past, it’s been like a tailored suit. We have been able to add so many details in cooperation with Upsteem in order to upgrade the entire system. We had the vision and experience for why any given aspect was desirable or what the order of activities was. The cooperation was constantly “sharp” throughout the process, which is also one of the keywords of Upsteem. I take that to mean that professionals were involved. Would you also recommend the feedback system to other schools and institutions? Please give your reasons if possible. It is definitely worth considering taking a step closer to modern internship management. Even more so when we have an experienced domestic provider. We have recommended our system before, but many have probably faltered at the fact that follow-up interviews take a lot of time and human resources. But if you don’t carry out the interviews then there’s no point in even sending out the questionnaires. A mere sentence at the end of the internship log stating that someone was happy with the results of the internship does not actually say anything. For a proper overview, you need a lot more questions which provide a more comprehensive view of the student’s attitude across certain topic groups. If there are any questions concerning our system or if anyone wants comments on how the questionnaires work, then our lines of communication are also open. Cooperation takes us farther and makes us faster. Upsteem in cooperation with Luua Forestry School created and adopted a new software supporting and simplifying internship evaluation, where the intern can personally add evaluators to their evaluation, including employees at the company of internship. In addition, a special performance report was adapted for Luua Forestry School, displaying data in the required form. Questionnaire creation is flexible, evaluation requests and the data entry page were designed in the colors of Luua Forestry School. Luua Forestry School believes that thanks to feedback given after performance and attitude evaluation, their students are better prepared for actual work situations because the school discusses the feedback received – every internship ends with a personal interview. Searching for Talent Management comparison sites, then maybe I can help. If it's hard for you to find Talent Management sites, then maybe I can help.